If you have experienced water damage in Westminster, Colorado, you've come to the right place. A1 Steamway has been drying and restoring Westminster water-damaged properties since 2006. Give us a call at (720) 538-0488 now and let us expertly resolve your water damage and your worries. We know that time is of the essence when you've experienced water damage in your Westminster property. Within just 24 hours after a leak or flood, microbes can begin to grow, and structural integrity of your building can become compromised. The affected areas must be dried quickly and thoroughly. When you call A1 Steamway, our technicians will be on the scene quickly begin the process of rectifying the situation. Because A1 Steamway has been a leading Westminster Water Damage Restoration Company since 2006, you'll get the professional service and quick response time that you need. Your biggest investment has been damaged, and we understand the importance of containing the problem and helping you with a solid remedy. Our Westminster water damage restoration crew is standing by to handle your call. We'll arrive on the scene quickly to assess the damage and come up with a solution at a reasonable price. From start to finish, we'll be with you every step of the way until your property has been restored to it's original condition. 5★★★★★ - "When our washing machine failed and flooded our basement, that was a piece of bad luck, but it was very good luck when the first company that was available to help us was A1 Steamway. What a great company they turned out to be! They took care of all the mitigation and carpet replacement and drywall repair and painting, and did it all professionally and on time. Based on our experience, I would feel confident recommending A1 Steamway for any of the services they provide." 5★★★★★ - "Fair pricing, professional, on time and quality work! These guys were so great and cleaned two of my rugs (one wool with a set in stain) perfectly! They also cleaned and sanitized my couch and it looks almost new! Stair cleaning was done to perfection! Thank you A1!" 5★★★★★ - "Exceptional steam cleaning! Highly recommended!!! Came on a Sunday and accommodated on short notice. Our carpet and furniture smell and look brand new! The cleaners are professional and provide a wonderful service. 5 stars +++"
5★★★★★ - "I would highly recommend this company. We had some water damage and a bad smell because of the water issue. They came out the same day and took care of it properly. They throughly sanitized, cleaned, and fully dried the area out for good! The area is cleaner that it has ever been and there is absolutely NO smell left! I couldn't be happier with their results. The people have been nice and very helpful!" 5★★★★★ - "I called Steamway on the evening of Christmas day, and was able to reach an actual person - I was definitely expecting to just go to an automated service or voicemail. My dog had gotten sick on the carpet, and we needed to show the apartment to new tenants in just three days - I was definitely panicking. The guys from A1 came out the very next morning, on the 26th. They did an amazing job, and were very courteous. They got all the stains out and the carpets look really good. I definitely recommend these guys if you need your carpets cleaned. I'd definitely use them again." 5★★★★★ - "The A-1 Steamway team saved my Thanksgiving Holiday. They were able to come out at the last minute and clean all of my carpets. Ray, my favorite technician, fit our cleaning in at the end of the day and was here until late evening without a complaint. I am always happy with the job they do, especially Ray. I highly recommend them!" 5★★★★★ - "A+++++ What can I say, except these guys did a fantastic job! I was seriously considering getting new flooring. In fact, if my contractor hadn't bailed on me about a week before I had company coming to town, I would have. These guys saved me $7000!!! I called in the morning and they had an appointment for me that afternoon. They called when they were running behind (massive thunderstorm and hail this afternoon 5/24) and then again when they were on their way as promised. Completely understandable and appreciated. The carpet is very light beige and 15 years old. With the exception of a couple of wear spots, it now looks brand new. I will recommend these guys to all my friends and will be using them myself in the future. As a matter of fact, they're coming back to clean my vents and ductwork next week!" 5★★★★★ - "They came out on a Sunday and cleaned our carpets and my mother's mattress. We so appreciate it! They did a beautiful job and left our apartment in pristine condition." 5★★★★★ - "I tend to like this company they hand cleaned my area carpets with and treated it for pet stains. They used only the best products everything was pet safe - important to me. Staff are incredibly sweet and very professional and trustworthy. I never had to worry about harsh chemicals with this company. They are honest about every product they use. Mob Love!" 5★★★★★ - "We called on A Monday to have our carpets cleaned for a party on Saturday. They came on Tuesday to give us an estimate. It was a little higher than we had hoped for, but our carpets were pretty bad. They came first thing Thursday morning, and did an amazing job! It took a little longer than anticipated, but it was definitely worth it! The technician that came out was very nice and did a fantastic job. So glad to have clean carpets for the party!" 5★★★★★ - "I can't say enough good things about your carpet cleaning services! They arrived on time and thoroughly explained the process and what he would be doing. They added on a partial room for me at a very reasonable rate. The carpets look beautiful and smell fresh with no chemical odor. The two runners that I had were very heavily soiled and now look brand new! I would highly recommend them!" 5★★★★★ - "Learned a lot about carpets and the best ways to clean them the best and most efficient way possible. There would be two of us each day and we would take a van and just go clean carpets all day long. Sometimes we would all meet at one place and do a restorations as well. Good fun learning experience as well"
5★★★★★ - "Thank you for your carpet cleaning services. You did a wonderful job"
5★★★★★ - "A1 really value their clients. I am satisfied with their services and would not mind giving them a call once in while for repairing my broken and leaking restaurant kitchen sinks"
5★★★★★ - "Very professional and easy to schedule, not to mention he did an amazing job cleaning my mom's carpets. I would definitely recommend them to a friend and will give them a call next time i need a cleaning. Nothing but positive things to say about my experience." 5★★★★★ - "Very good service, friendly, timely, excellent job on my carpet, very good price. Will call again." 5★★★★★ - "Just when I was thinking of dumping my dirty carpets and purchasing new one, my buddy told me about them. I immediately phoned and had a booking. The showed up, cleaned everyrhing and charged favorably. Cheers!" 5★★★★★ - "They did excellent work on my carpet. The price was pocket friendly and the services are on point. I will use them again. Highly recommend them." 5★★★★★ - "I will definitely use them again when my carpets need some cleaning. Their charges were reasonable enough. Great service indeed." 5★★★★★ - "I had water leaking from my kitchen sink. I don't know where the leak was but A1 Steamway rectified everything. I appreciate all your efforts and resources you had. Very skilled and professional." 5★★★★★ - "A1 Steamway saved me I got a big stain on my carpet and after they finished cleaning the carpet looked brand new I was totally amazed at how professional they were and would STRONGLY recommend others who have any problem small or big to youse them and be amazed at the resultes"
5★★★★★ - "Best carpet cleaners in Denver!!!!" 5★★★★★ - "Wow! What a difference! They arrived on time, charged exactly what they promised, went above and beyond the typical carpet cleaning experience. They even removed stains that were there 3 years ago! I could not have asked for a more professional crew and carpet cleaning experience. Thank you!" 5★★★★★ - "Awesome experience with A1 Steamway. He just finished my condo's carpets and they look pristine. Super reasonable bid and he was very detailed. I would definitely use him again and also Highly recommend." 5★★★★★ - "Their service is exceptionally good, they made my office carpets look new again. A1 steamway offers quality carpet cleaning services, all the dirt, soil, spills vanished from office carpets!!" 5★★★★★ - "I was searching for a good company to clean off the mess that my kids created. One of my friends suggested me to try this service, though I was reluctant at first since I've had not so good experiences with such firms, I must say these guys are perfect with their Job. I appreciate their hard work and sincerity." 5★★★★★ - "After searching for hours I got to A1 steamway who is said to be a very good choice for cleaning and maintenance. And after interacting with them and their working methods I understand why these people have such a good name for themselves. Very nice experience"
5★★★★★ - "This is Super fast and Affordable Cleaning services. My kids always spread mesh on the Carpet. It's impossible for me to remove all the mash. So I called A1 Steamway, they remove all the mash well and also removes germs and bacteria. Now my carpet looks like new. I love to use this service again." 5★★★★★ - "I recently moved to a new house for rent. We realized that the carpet was very dusty and old when we moved in. The guy from A1steamway reached our rented home before time. He was polite and professional. He cleaned the carpet so well that now the same carpet smells fresh and looks clean. Now it is much safer for my kids to play sitting on the carpet." 5★★★★★ - "Last week, I have a birthday party at my home. unfortunately, after an enjoyment, my room was very dirty which make me so annoying. Later, I was suggested by my friend about this site. I was very eager to get them in my home and within a few hours, everything on my floor is ok. I am really satisfied with the customer service of them. Thanks!" 5★★★★★ - "A few days ago, there was a water leak in my house tank and as a result, there was a lot of water damage done to the house, including the damage to the very costly carpet. I was so worried about what to do. I got information about A1 Steamway. They were thorough professionals. They carried out the damage restoration work like a champion. My costly carpet is also now clean and dry. I am really impressed with their services." 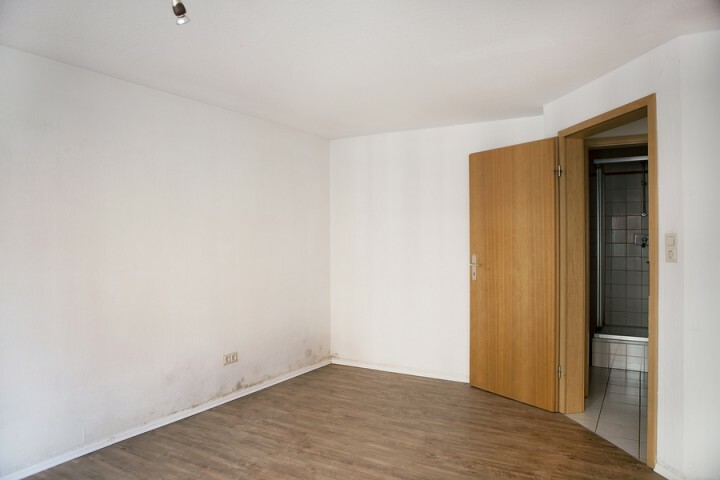 5★★★★★ - "I live in a 2 bedroom apartment and had some major pet urine stains in the common areas and one bedroom and needed a carpet treatment. I called A1 Steamway and was able to get a technician to my residence within a couple of hours. Bobby was very professional and knowledgeable and did a fantastic job cleaning the areas that needed work. The carpet was left clean and fluffy and I was very satisfied. I felt that the work was well worth the price I paid and I will definitely be using this company again." 5★★★★★ - "Great experience we would hire again. Great!" 5★★★★★ - "They were great and completed the job and it looks great. The only issue is they sent one person to do the job and it probably was a two person job. I would use them again." 5★★★★★ - "I had first called for an estimate and bobby came and was very professional and friendly he wanted to do a test on the carpet to see if it was going to come up. He did the worst spot in the family room and it was heavy foot traffic soiled and spotted. The test came back and the carpet came up like brand new !!! It was we'll worth it cause it saved me from replacing the carpet and spending hundreds. Bobby was very professional and performed the best job cleaning carpets I have ever seen. I definitely am going to call them back in the future and will tell every one I know about them!!!!"